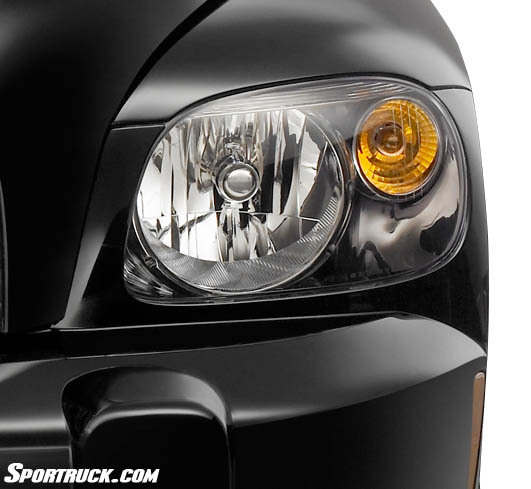 Always in style, the classic black is fast becoming one of the more popular color choices today. 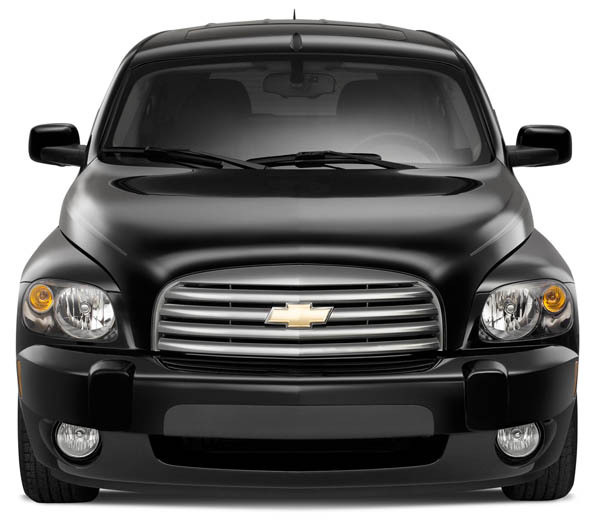 Whether it's a luxury sedan, SUV, classic car, hot rod or muscle car, black is back -- and it's not just paint, with a wide variety of black finishes available on wheels and accessories more people are donning the gloss black, flat black, and black chrome than ever before. With their fingers on the pulse of this modern trend, Chevrolet has taken their popular little hot rod-styled SUV and given it a makeover in black. 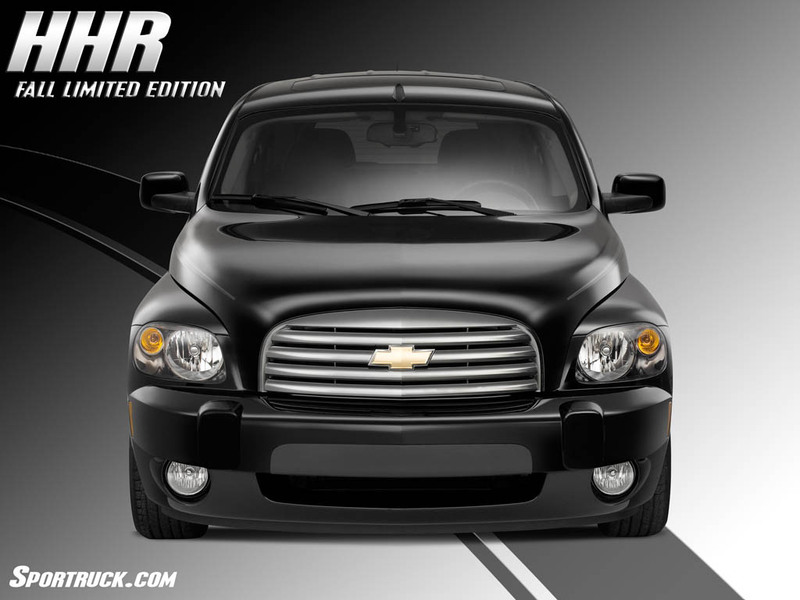 Just announced for production, the Fall Limited Edition HHR is a limited-production model of only 4,000 vehicles. 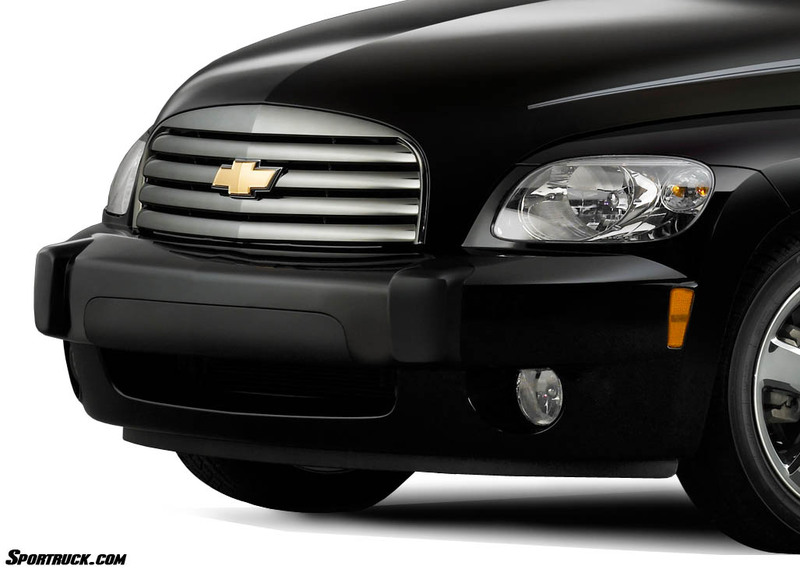 The special edition package begins with a black HHR, and adds a black chrome appearance package including the grille, door handles and 17-inch alloy wheels. 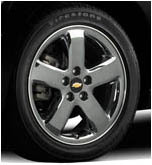 The black chrome finish is provided by Lacks Enterprise. 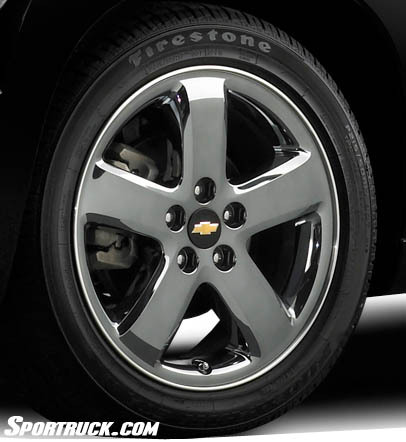 The Spinelle™ Metal Finish is a multi-coat metal tinting process that creates a unique, color-tinted appearance while maintaining the depth and reflectivity of traditional chrome. In addition to the black chrome parts, the Fall edition features black painted mirrors, running boards, spoiler, and accent side stripes. The limited edition is available only with the upscale HHR 2LT package, which also includes a sport suspension. The interior features Ebony cloth seats and offers optional leather-appointed seating. 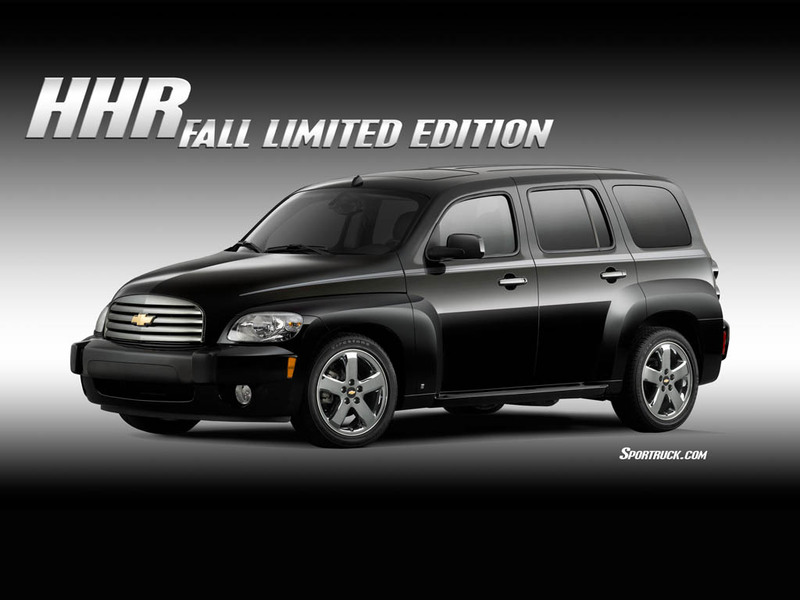 Chevrolet expects to sell over 100,000 of the HHR in 2006, and with only 4,000 of the Fall edition available, they are sure to sell quickly. 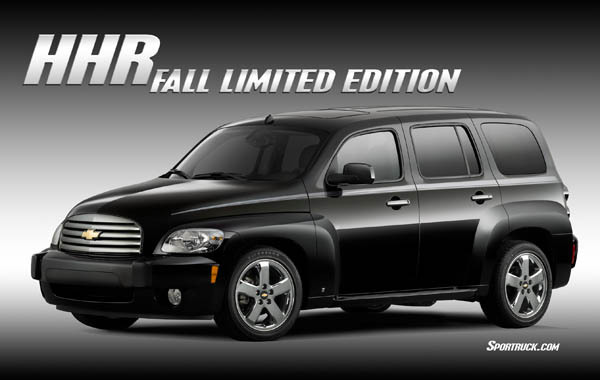 A price of just $20,265 will buy you a Fall Limited Edition HHR. Ebony interior - cloth standard; leather available. 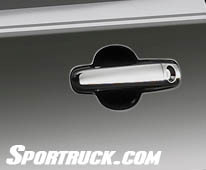 Factory-installed remote starting is available with the optional four-speed automatic transmission. 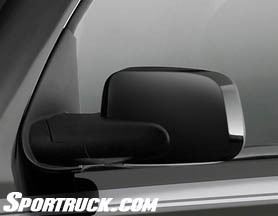 OnStar and XM Satellite Radio also are available, as are a host of GM accessories designed to complement the HHR driving experience.